Another fun day to celebrate and an easy one too, POPCORN DAY! mmmm Shoot, just head to the movies, buy a big ol' bag of popcorn and you're celebrating :) But if you're a party junkie like me, that's not enough. You'll want to make a cake, maybe some cupcakes to share with your office mates, or throw a little party. Here's some ideas popping your way. Did you say you'll take the jumbo bag of popcorn? Womans Day has just the bag, eh, cake, you're looking for. 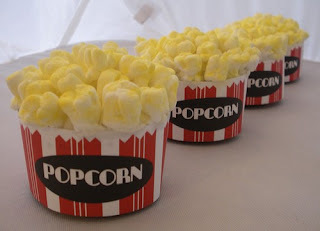 These popcorn cupcakes are ADORABLE and I soo want to give credit but I saw it on Pinterest and there was NO source :( sad. If they're yours please let me know so I can give credit. Is there anything you can't make a cake pop into? 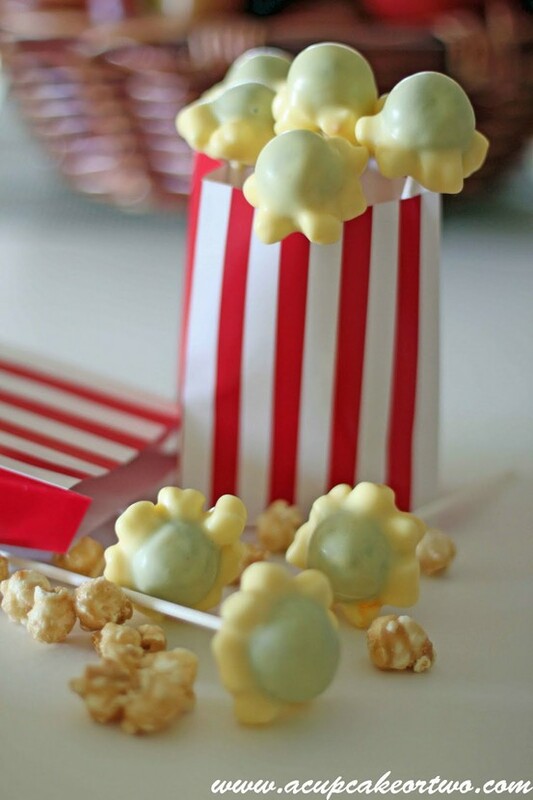 A Cupcake or Two shows us you can fool your guests with these great popcorn cake pops. These are made out of Oreo's, cream cheese, and mini marshmallows. Which The Marshmellow Studio would be happy to hear. No cake needed. 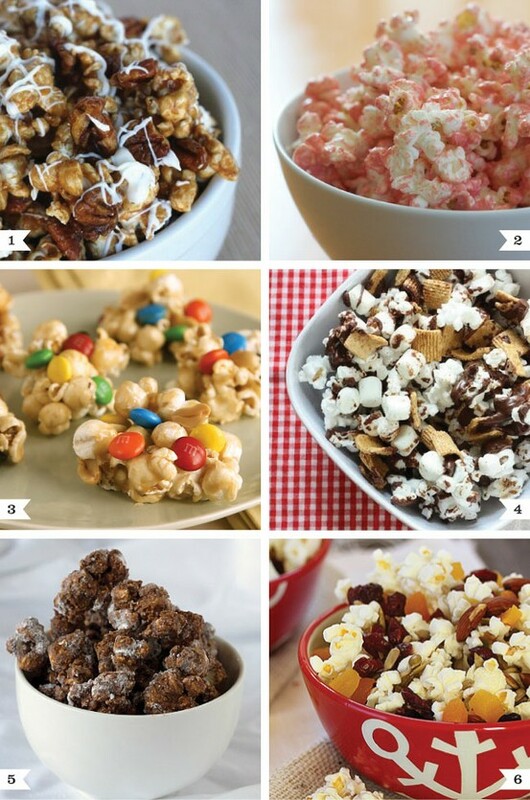 Chickabug has some great popcorn recipes for your popcorn party. Pop on over. Cinnamon Bun popcorn, Pink Party popcorn, Popcorn Brittle, S;mores popcorn, Reece's Peanut Butter popcorn and Popcorn Trail mix. A little something for everyone. POP! a comment down below. Always LOVE hearing from you all. 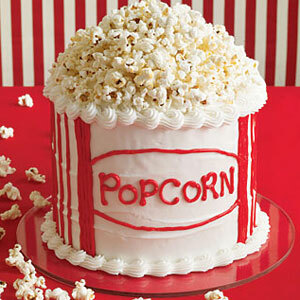 Hope you have a Popping good day! Love it! So many yummy ways to enjoy popcorn...or things that just look like popcorn! Thank you Lisa :) And welcome aboard!